Our Middle East forum on May 16 reviewed how companies are finding opportunities in the Middle East - as part of the search for lower 'cost of supply' oil. This includes majors, independents, service and engineering companies. What are the exploration opportunities nowadays in Iraq - especially Kurdistan - and what's this about offshore Iraq; what could they be if Iran were to become accessible again? And what's going on in the Lebanon - Israel - Cyprus 'triangle'? Do the real opportunities still lie in developing dicovered resources (in the Zagros for example)? 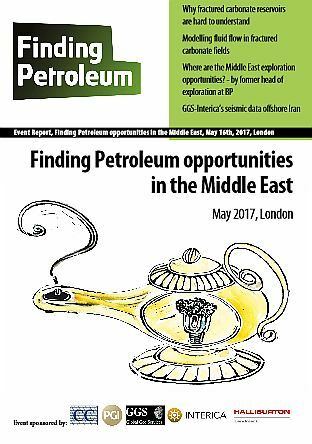 Also, the UK's Department of International Trade has Oil & Gas High Value Campaigns under way in Iraq and Saudi Arabia, focussing on the excellent opportunities that exist in both countries for UK oil field service and engineering companies, as they seek to increase their reserves bases and therefore production potential. Kes Heffer received an MA in Natural Sciences from the University of Cambridge in 1970 and an MSc in Petroleum Reservoir Engineering from Imperial College, London in 1971. He worked for BP for 29 years, initially in worldwide operations as a petroleum/reservoir engineer, and latterly in research into issues of reservoir description. Since 1999 he has been an Honorary Fellow of the Institute of Petroleum Engineering at Heriot Watt University, Edinburgh, and has conducted research and consultancy work through Reservoir Dynamics Ltd. His current main research interest is the rôle of geomechanics in the processes of fluid flow in reservoirs, and the degree to which these approach a critical point. 11:20 Coffee & Tea; Exhibits: Session 2 - What's Next? The talk will touch on Iran, Iraq, Saudi Arabia, and Israel and the eastern Med.